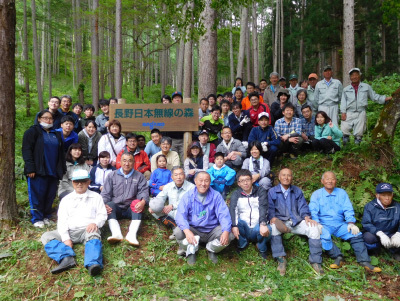 Nisshinbo Holdings Inc. participates in the Japan Business and Biodiversity Partnership, which is made up of economic organizations, businesses, NGOs, and local governments, and engages in activities to protect biodiversity. 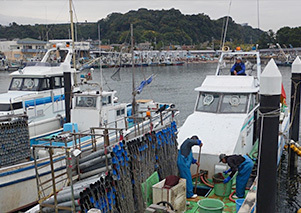 Whereas our Second Medium-Term Environmental Targets focused on investigation, education, and awareness activities, under the Third Medium-Term Environmental Targets that went in place in fiscal 2015, we set for each business at least one pre-emptive pilot project for ecosystem preservation. 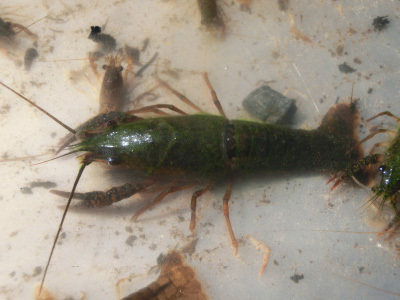 Accordingly, we are undertaking specific biodiversity preservation activities. Carassius auratus subsp.2 (Ministry of the Environment: Threatened category II), etc. 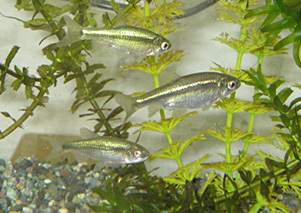 Rare and endangered species such as Carassius auratus subsp.2 inhabit the Nakanonuma Nishinuma swamp near Nisshinbo Brake Inc.’s Tatebayashi Plant in Ora-machi, Ora-gun, Gunma. 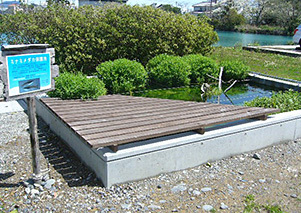 Ora-machi designated this swamp as a protected habitat and has been promoting conservation activities. 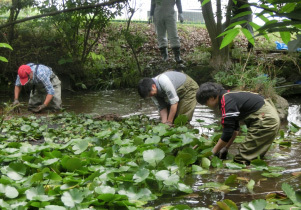 The Tatebayashi Plant supports these activities and its employees participate in the extermination of alien fish species and are involved in patrolling the area around the swamp to prevent illegal fishing. 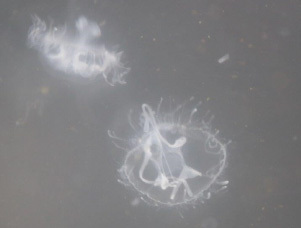 In August 2017, it was discovered that freshwater jellyfish, which has not been witnessed in recent years also inhabited the swamp. Craspedacusta sowerbyi are one of only two kinds of jellyfish in Japan that inhabit fresh water and are about one to two centimeters in diameter. 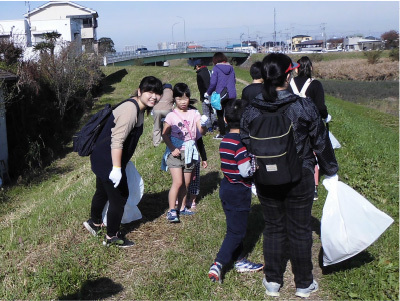 In December 2017, with the cooperation of Saga Prefecture, SAGA ELECTRONICS CO., LTD. held environmental conservation activities in the Kashibaru Wetlands in Karatsu, Saga Prefecture. 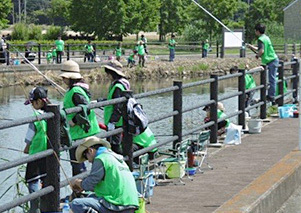 A total of 22 participated in the activities, including a guide from the prefecture, 16 employees from SAGA ELECTRONICS, and five volunteers. With guidance from an expert, they worked to restore natural vegetation and conducted conservation activities in rice paddies and other area environments. 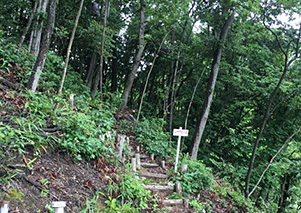 Certification of the Former Site of the Mitaka Plant as a "Business in Harmony with Nature and Community"
Nisshinbo Holdings Inc. is redeveloping the former site of Japan Radio Co., Ltd.’s Mitaka Plant in Mitaka, Tokyo. Along with Nomura Real Estate Development Co., Ltd., the company is planning to build a large-scale apartment complex on a site area of 26,000 ㎡, with construction lasting until February 2021. 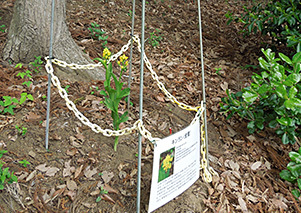 Two Himalayan cedars have been standing on this site for many years, loved by local residents since the days of the Mitaka Plant. The two companies intend to place a comfortable courtyard at the foot of the two trees, which people will be able to use for events and markets. 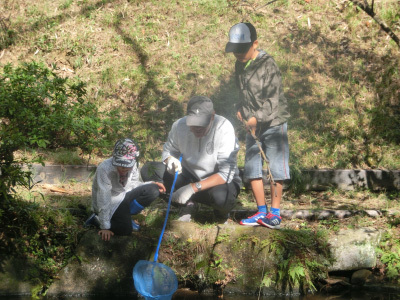 In March 2018, the Association for Business Innovation in harmony with Nature and Community designated this plan as a biodiversity conservation initiative and certified the complex as a "Business in Harmony with Nature and Community." * The Association for Business Innovation in harmony with Nature and Community (ABINC) certification: This is a third-party certification that uses the Guidelines for Sustainable Business Sites developed by the Japan Business Initiative for Biodiversity (JBIB) as assessment criteria. This certification was developed to encourage coexistence between humans and nature through business activities.